Looking for some non-candy Easter basket ideas? 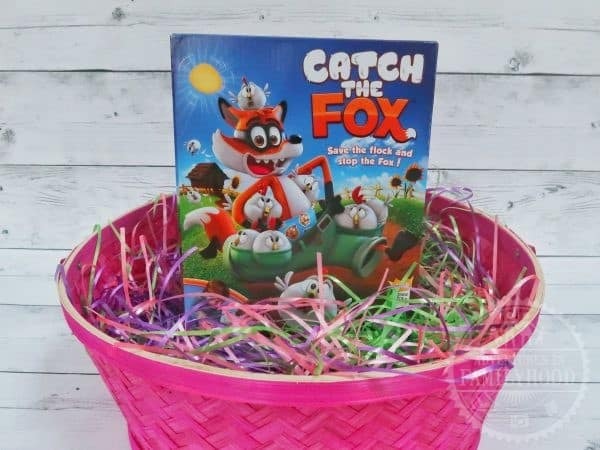 These fun, spring-themed Easter basket games for kids from Goliath and Pressman games will add fun to any Easter basket. We received these games for free in order to facilitate this review. All opinions are our own. 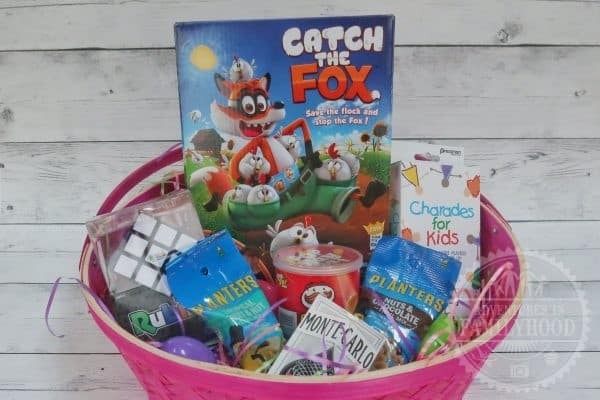 Instead of filling your kids’ Easter baskets with things they’ll never use or candy that will rot their teeth, consider building a basket around a fun board game. 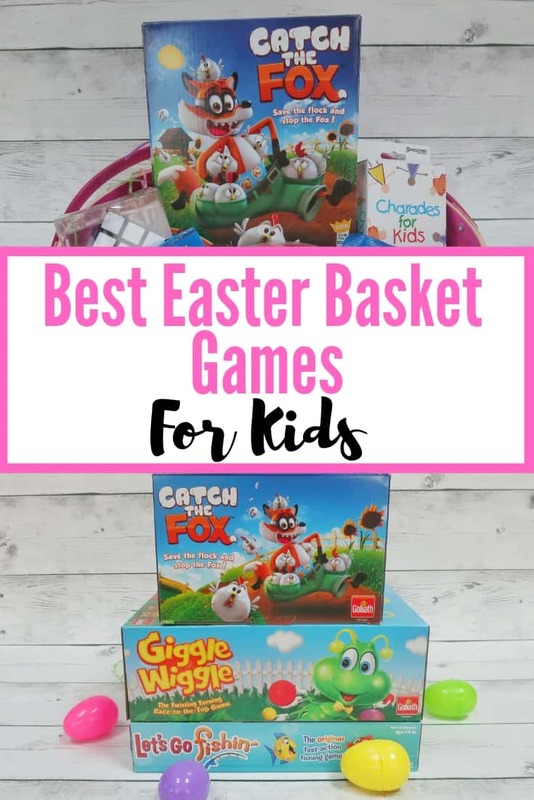 Games are a great idea for Easter baskets. Not only are they fun, but they are a gift that will last longer than just Easter. 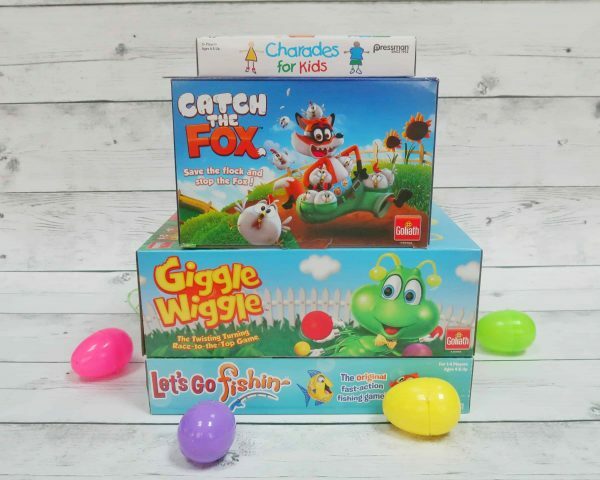 Kids will love these games from Goliath and Pressman Games. They’re entertaining, interactive and easy for kids to play. Save the flock and stop the fox. The fox is in the hen house! Roll the die to see how many chickens to put in the fox’s pants. But watch out! The fox’s pants can drop at any time, sending the chickens flying. Rescue the chickens and return them to the coop. 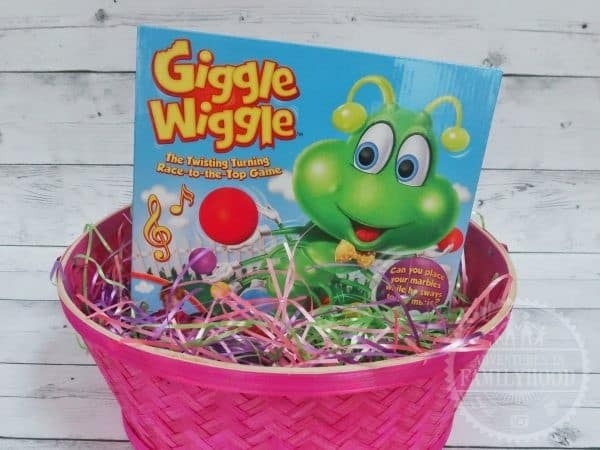 Giggle Wiggle is a caterpillar with lots of hands to spare. Race to get your marbles from his bottom hands to the top as he wiggles to the music (and yes, the music will get stuck in your head). Be careful! Giggle will try to knock your marbles down! The first person to get all their marbles to the top wins! Not only will kids have fun playing, but they won’t be able to stop themselves from dancing to the music. 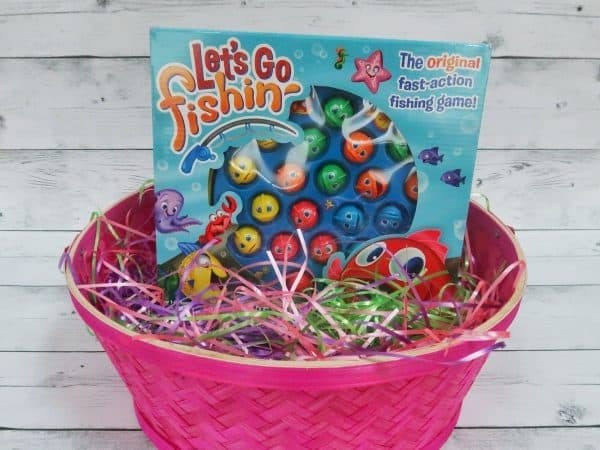 Let’s Go Fishin’ is a fast paced fishing game that has been well-loved and played by kids for decades. This classic games teaches kids hand-eye coordination as they use their poles to catch the most fish. The rotating pond and hungry open-mouthed fish, Let’s Go Fishin’ is a game that they’ll want to play again and again. 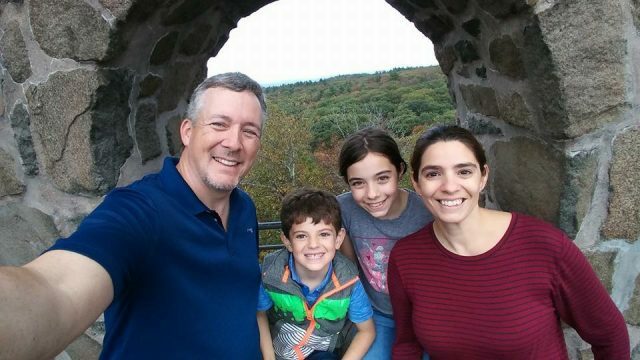 Charades is a game that kids of all ages can enjoy. With no reading required, this game can be played by even the littlest of players. 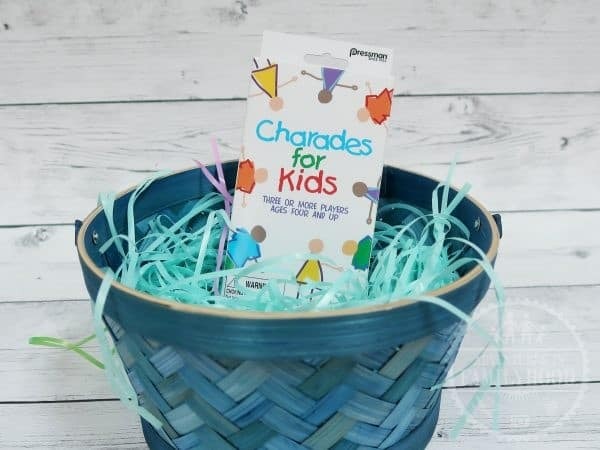 Charades for Kids gets kids moving. The cards come in a portable package which makes the game perfect for travel. Keep it in your backpack, suitcase or purse for spontaneous fun!
. You could also add in a towel or pillow for comfy game playing.